At 11 a.m., the price of silver today (Thursday, June 9) gained 1.1% to $17.18. That's the first time silver prices have broken above the $17 mark since May 18. 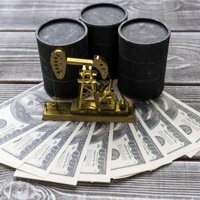 These gains put the silver price up 23% in 2016, beating the Dow Jones and S&P 500's gains of 3% and 3.3%, respectively. 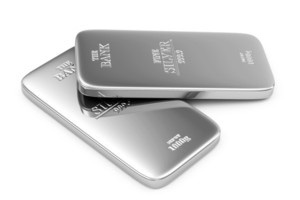 Even better, Money Morning Resource Specialist Peter Krauth recently identified three factors that will send the silver price higher in 2016. Silver prices hit their highest level in three weeks today thanks to more rate hike speculation from the U.S. Federal Reserve. You see, the chances of the Fed raising interest rates this summer have recently diminished. After the dismal May jobs report showed only 38,000 jobs were added during the month, odds of a June rate hike fell to a slight 4%. Prospects of a rate increase in July slipped from 42% to 36%. For September, chances of the Fed lifting rates currently sit at 51%. Some analysts are even more dovish. For example, BNP Paribas doesn't see the U.S. central bank raising rates until 2018. But the interest rate chatter isn't the only thing pushing the price of silver higher today. Many regular investors are pouring money into silver as they grow increasingly wary of the upcoming Q2 earnings season. These people invest in silver as a way to hedge against broader market volatility. And with many companies expected to report dismal Q2 earnings, volatility may pick up. According to FactSet Research Systems Inc. (NYSE: FDS), overall Q2 earnings for S&P 500 companies are expected to decline by 4.8%. If the broad-based S&P 500 Index reports an earnings drop, it will be the first time it has recorded five straight quarters of year-over-year earnings declines since Q3 2008 through Q3 2009. S&P Global Market Intelligence reports full-year earnings estimates follow a similar pattern. They bottom out in early May, rise later in the month and into June, and fall until the end of the year. By that time, earnings forecasts typically end lower than where they were in early May. Supply: The global silver supply is projected to decline this year. CPM Group estimates global silver mining production to fall 2.4% to just under 785 million ounces. If CPM's forecasts prove correct, this year would see the first decline in global production since 2011. Demand: Silver's demand is soaring thanks to its industrial applications. The metal is being used in everything from batteries to computers to solar panels. Each photovoltaic (PV) cell solar panel uses 20 grams of silver. Solar power demand alone will increase silver demand by 70 million ounces. After all, GTM Research says the U.S. solar market is expected to grow a whopping 119% in 2016. That's a lot of silver demand waiting to be unleashed. Coin Sales: Silver coin sales in the United States, Canada, and Australia are all at record highs. Annual sales of American Silver Eagle coins increased 25% to 47 million last year. The U.S. Mint projects sales of 60 million this year, marking a 28% increase over 2015. For investors looking to ride the 2016 silver price rally, Krauth recommends the Sprott Physical Silver Trust (NYSE Arca: PSLV). The Canadian fund allows investors to own silver without dealing with the costs of delivery, insurance, and storage. It boasts an $887 million market cap and is regularly audited and inspected. Shares of PSLV are up 25% so far this year.